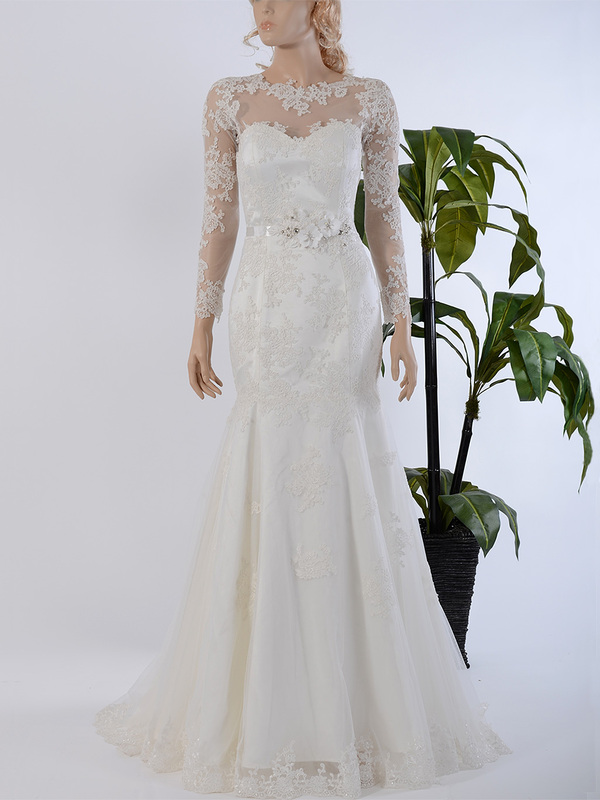 This is an ivory strapless wedding dress in mermaid shape, made of alencon lace fabric. Built-in bra and boning. Wedding sash is not included. 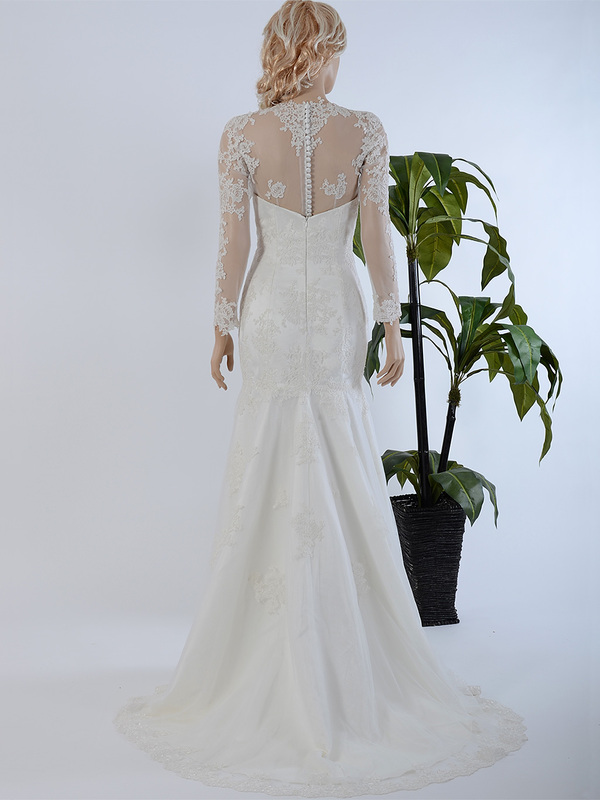 The removable lace bolero is made of illusion tulle and alencon lace appliques. It comes with this dress. Only available in size 4.